Northwestern’s Treblemakers perform for the Young People’s Teen Musical Theatre Company in San Francisco. The Treblemakers spent eight days traveling in California for their spring tour. Weinberg sophomore Patricia Song was not planning on pursuing music in college, but she caught the a cappella bug when Northwestern’s Treblemakers visited her Seoul high school in 2016. Two years later, Song said she felt her journey came full circle when she traveled to California with the Treblemakers to perform for younger students and foster conversations about Asian American identity. The Treblemakers, NU’s only East Asian-interest a cappella group, set out on their first-ever California tour this Spring Break. They spent eight days performing a mix of American and Asian pop songs throughout northern and southern California, according to the group’s GoFundMe page. McCormick senior Bodhi Alarcón, manager of the Treblemakers, said the group performed in several high schools across the state and also visited a young adult musical theater company and multiple children’s choirs in the Bay Area. After each performance, the Treblemakers opened up Q&A sessions for students to ask questions about college life, he said. Many of the communities the Treblemakers visited on their tour have large Asian American populations, including Alarcón’s hometown of Millbrae, California. Alarcón said the conversations often touched on demographic differences students may encounter if they go to college in a different region. 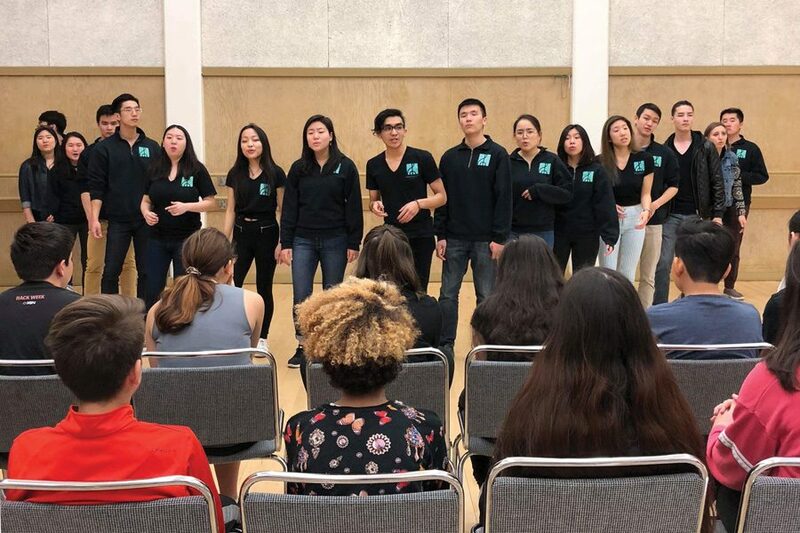 SueSan Chen, music director of the Treblemakers, said the Q&A sessions were inspired by the Asian American A Cappella Alliance, a national coalition of Asian American college a cappella groups that meets annually for a weekend of music and identity workshops. Chen and Alarcón said California’s Asian American population was a strong factor in their decision for a tour location. Another reason was the appeal of performing in many of the members’ hometowns — five of the Treblemakers’ 18 members hail from California. The Californian members of the Treblemakers performed at their old high schools and returned to their childhood choirs and theater companies. Alarcón said a highlight of the tour was visiting the Young People’s Teen Musical Theatre Company in San Francisco, of which he was once an active member. Chen said she enjoyed the whole week and appreciated the opportunity to spend quality time with friends. To save on funds, the Treblemakers lodged at their members’ family homes for the majority of the trip. Alarcón said several of these families were not able to fly out to NU for past a cappella concerts, so the California tour was their first chance to see their children perform. As a “thank you” to their host families, the Treblemakers performed a few songs each time they arrived at a new house. Song said the experience was both emotional and rewarding. A previous version of this story misstated Patricia Song’s school. She is a Weinberg sophomore. The Daily regrets the error.